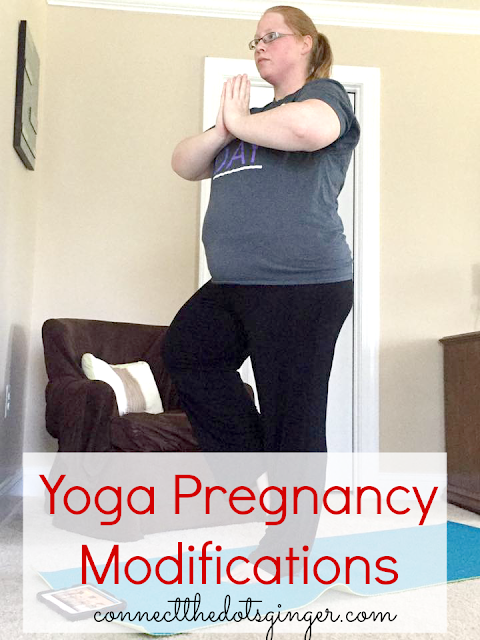 How many of you have a yoga routine that you love, but you are pregnant and can't do it exactly? Honestly there are days that I can not do one more sun salutation because I am so sore just from doing that but it got me thinking. How do I modify this routine so that I can do it while pregnant? 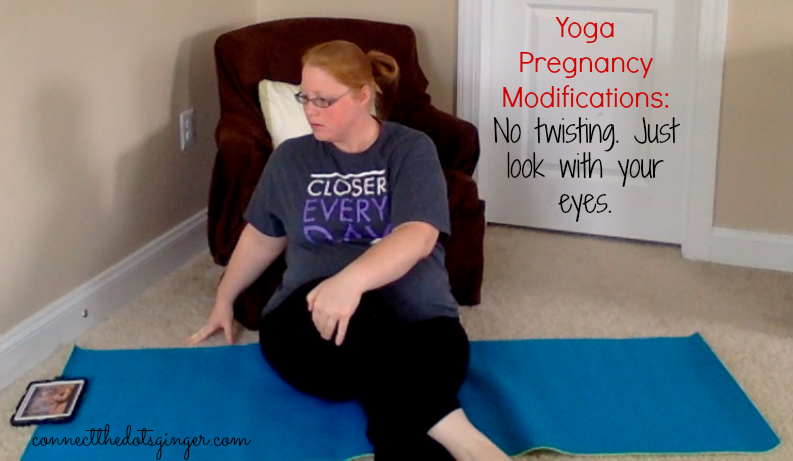 I tell you every week in my weekly bump updates that I do the 21 Day Fix yoga and Pilates workouts might as well share with you the modifications I do so that I can still do the workout that I love! NO BELLY MOVES AT ALL! Any time there is a flat on the belly move: Chaturanga, superman, cobra, bow pose, or anything similar, I just don't do them. Instead I do cat cow. The first 10 minutes of my yoga is actually a very fast vinyasa sequence, at least for this pregnant momma. And often I am slower than they are in the workout. But I am still following along doing my modified yoga sequence using cat cow in place of dropping into the chaturanga-upward-dog-downward dog. 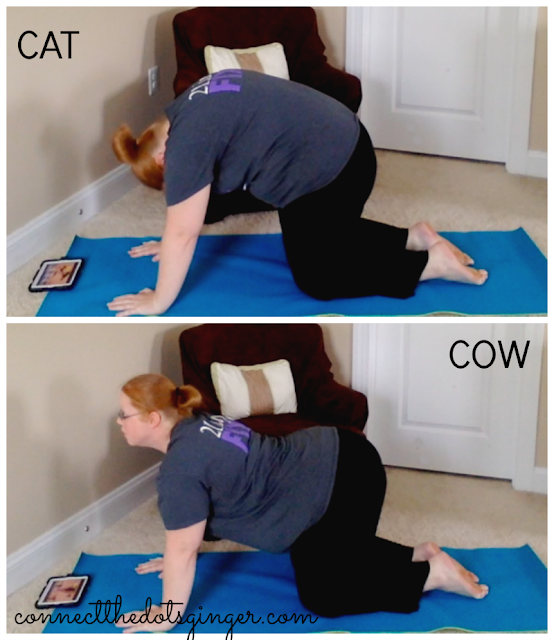 Instead when they start going into chaturanga, I just drop to all 4's and do cat cow a couple of times until it is time to do my flat back-rounded back-flat back-swan dive movement. I getting in a lot of cat cow moves in just the first 10 minutes alone. I think this is why little miss is already head down. I do maybe a 1-2 degree twist because it actually helps unclog the plumbing as it were for a pregnant momma (learned that in my prenatal yoga class) but you have to be very careful. Over twisting is actually bad. Just avoid it. NO FLAT BACK EXERCISES BEYOND 12 WEEKS! It used to be past 20 weeks but the rules have changed and we are now being encouraged not to do flat back exercises. Shavasana is normally done as a corpse pose. Laying flat on your back with your arms and legs extended out, and totally relaxed. This can be modified by laying on your left side with your right leg bent over a straight left leg. Similar to how you should be sleeping. DO NOT OVER STRETCH YOUR MUSCLES! Because of a prior pulled round ligament during my 2nd pregnancy I am very aware at how far I can and can not perform each move. The thing is, I feel great and want to go deep and low in my warrior pose and triangle pose but I CAN'T. My round ligament starts screaming like a banshee at me. Thanks to the hormone relaxin you are actually more flexible while pregnant. But, you are also more prone to getting injured. You have to work into your flexibility other wise you will have what I have a major pain in my BELLY! Most moves I do are literally half of what I know I can do. Funny thing, I am still getting the stretch because I can feel it. And your body is working so much harder because it is having to accommodate the extra weight in the front. So you are actually more because of the added stability control you have to do! SCORE! So make sure you are careful when doing balance moves too. Because your center of balance is totally off and you might have to do a modification lower than you are used to just to hold the pose without falling out of it! GO SLOW AND LISTEN TO YOUR BODY! Do not go the same speed as they do on the workout, unless you are following a prenatal routine. You should slow down and really listen to your body. This is not about keeping up, but about lengthening and strengthening your muscles. Using your breathing to help you learn to breath deeper. And to also build strong muscles to get you through labor. If your workout is just too fast, then slow down or find another yoga routine. For this reason, yoga can actaully be a really powerful tool in your birthing belt because you learn to breath deeply through the discomfort of some of the moves. Literally practicing for the big Delivery Day when you will HAVE TO breath deeply to get through each contraction! Hope you found this helpful! Just remember these rules. And if you are looking for a specific yoga routine to do, there are tons of free ones on Youtube, or if you are interested in getting hooked up with 21 Day Fix and learning how to eat for your body and only have to exercise 30 minutes a day. CLICK HERE to order your own copy of 21 Day Fix! It's a high-waisted yoga pant model with extra compression panels in the midsection, but all that extra material interferes with forward bends. The flared leg also interferes with more difficult arm balances where you need to cross at the ankles, and the extra material flaps around and is a distraction…..